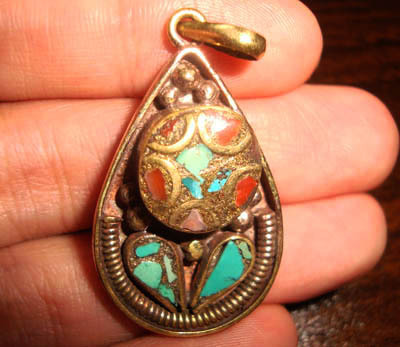 Handmade Tibetan Pendant - Turquoise and Coral. This tibetan pendant was handmade by the Tibetan people in Nepal from turquoise, lapis lazuli and coral. Size: 4.5*3.2*0.8cm.